Have you done your Website check-up? Your website is your online business card, so it is important that you monitor your website and make sure it is in good hands. Many business owners have learned how to manage their own sites, run campaigns and often do a good job. However, more often than not, there is something that can slip by. Maintaining a website is very time consuming and now more than ever, because it is never finished! In order to be relevant, you need to be adding and updating your website content, ensuring the overall design is still up to standards, and that the message is geared to your target audience. Updating your website is takes a lot of time so you need to make sure you are editing the right pages with the right content. 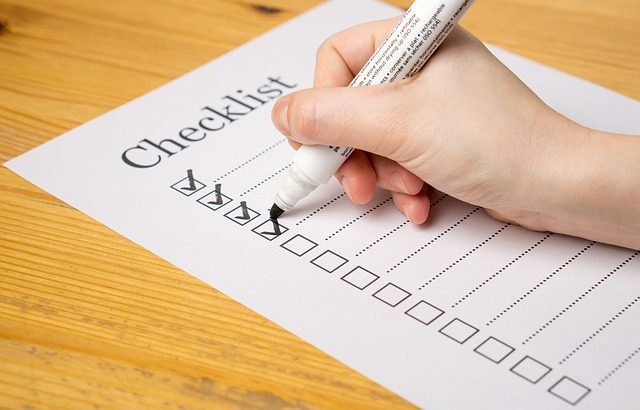 Whether you manage your own website or pay for a service to do this for you, here is a list of basic things you can review to do a website check-up. The home page is possibly the most important page of your website, so if it doesn’t immediately show what you do or feature your most important product or service, your chances of conversion are very small. People are not going to click around to better understand what you do. Make sure it has your phone number visible, an easy to use navigation menu and links to your social media so they can follow you. Businesses are often changing or updating their core product and promotions, make sure that these are reflected on your home page. Put yourself in the shoes of a potential customer, does your home page guide them regarding what to read, where to click on, and how to contact you to get your service/product? Does it show your value proposition? Does it have your contact information? The first thing I ask clients is if they use Google Analytics or any other traffic monitoring. More than half the time they reply they don’t know, or they know it has one but don’t know how to access it. Before you do any website changes you need to understand how much traffic you have, how many visitors per day, are they coming from searches, ads, social media or other sources, and which are your entry and exit pages? Did you setup Google Analytics? Did you setup Google Search Console? Are you monitoring your PPC campaigns and social media referrals? Visitors are very impatient and if a site doesn’t load in a couple of seconds, they are likely to go somewhere else. This is especially important on mobile devices (your cellphone). It is not enough to open your website on a desktop PC browser, you need to test it on your smartphone. You also need to test the page load speed in speed checkers like Google Page Insights which will show your score both on mobile and desktop devices. Google is even penalizing sites that load too slowly. You have probably heard of websites getting hacked. This happens all the time, and the problem can be with your website code, the hosting provider or just having weak passwords. It is estimated that 25% of all websites run on WordPress and there was a major security hole that was exploited in thousands of websites earlier this year. The fix was updating the WordPress version as soon as possible. If you are not monitoring your site, there is a good chance your site is not protected. Also, regularly review who has access to your website and update passwords by making them stronger. This is something people don’t think about unless their website goes down. Before this happens, it is a good idea to see what you are paying for. Does it have backups? Is the server updated (to prevent security issues)? How long does it take for your website to get back online if there is a failure? Do you get notified if the site goes down? When a website goes down it’s common to wait hours (in some cases days) to try to recover it. Those hours can mean potential loss of clients or business if your hosting service is not of the highest quality. Even worse is when you need to recover your website from an old backup because your account doesn’t have automatic backups. In that scenario, you will lose all your recent changes! Make sure that the web hosting service you pay for has a reliable plan for these scenarios so that your wait-time and loss of potential traffic is minimal. How do I get a website check-up? If you are not sure where to start, then what are you waiting for? Give us a call at 561-208-8341 or contact us for a free website audit. Our website audit services reviews your content, HTML markup for SEO best practices, WordPress plug-ins, speed and more. We also offer website maintenance services for websites of any size in addition to website health monitoring, scheduled security updates, emergency technical support and more. A shorter version of this article was published in the Simply the Best magazine July/August 2017 issue. Website Design & Development Website Development. permalink.